For hay fever sufferers, there are few bright spots to the presence of this frustrating and painful condition. It affects the very basic aspects of daily living and can wreck havoc on work, home, school and social activities. 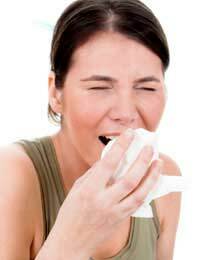 Hay fever sufferers also often struggle to find effective treatments that can provide relief. Overall, the condition is one that is quite depressing to the many people who suffer from it each year. It may, however, come as a surprise to learn that hay fever is thought to provide protection against cancer. This mechanism is believed to result from the presence of a hyperactive immune system. For hay fever sufferers, their immune systems mistake something that is normally benign as something harmful. In response, their immune system wages an attack on the 'offender' by releasing a variety of chemical mediators, which then leads to the typical, painful hay fever symptoms. Recent studies suggest that individuals with allergies such as hay fever show a lower risk of receiving a diagnosis of a glioma. Gliomas are primary brain tumours that are extremely lethal. In fact, only three percent of those diagnosed with a glioma will live for five years after receiving the initial diagnosis. In this recent study, researchers looked at eight smaller, separate studies, which provided them with a larger group of approximately 4500 individuals. Each person had been diagnosed with a glioma or a brain tumour known as a meningioma, which is slower growing and can be malignant or benign. It was found that individuals who had a history of allergies were thirty-nine percent less likely to receive a diagnosis of a glioma. Identifying a link is only one part of the equation. Now, researchers are investigating how exactly the link occurs. Allergies are thought to develop, in part, from changes in genes related to the immune system. The immune system includes molecules called cytokines, which are governed by some of these genes. Previous research has found that these cytokines can inhibit the growth of gliomas. This most recent study, however, didn't find a relationship between allergies and the more benign meningiomas. The conclusion that researchers reached was that this protective effect on the gliomas was a result of some kind of immune activity blocking tumour growth. The belief is that allergy sufferers have an overactive immune system that is preventing the tumour growth. In a sense, this increased immune system monitoring keeps gliomas at bay. Other researchers don't agree with this interpretation. Instead, they believe that it could be the tumour itself that is behind the hay fever or other allergies. The worrisome interpretation is that gliomas are somehow suppressing the immune system, which then also suppresses allergies such as hay fever. By understanding the link between brain cancer and hay fever, there is also potential to treat a wider range of cancers. Despite the pain and distress that hay fever sufferers experience - sometimes daily - there is at least some hope that we can learn more about other diseases such as cancer. If alternate theories are correct and gliomas are contributing to hay fever, a confirmed cause and effect result can mean new ways of treating hay fever and relieving its symptoms. @flash. I would say at the momentthat there is not enough evidence/research for anyone to know definitively. Might be worth recording your medical history and allergy experiences though? People originally researching this were at University of Illinois, Chicago. I am currently a (I would say severe) Hayfever sufferer but is also somebody that has had a benign brain tumour in the past, would this make me just one of the unlucky ones or is there a theory about a link between the two...?